3.600m above the sea level. 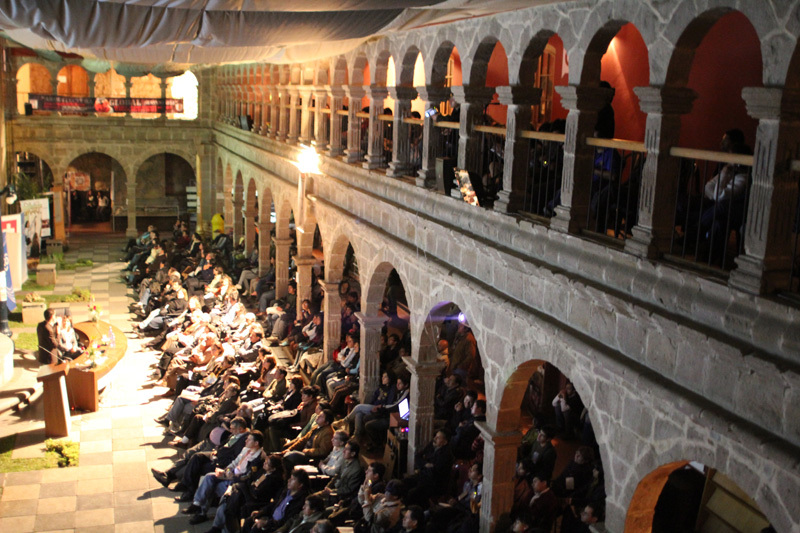 The XI Architecture Biennale of Bolivia has been the most international edition of its history. This biennale had a very significant focus on sustainable architecture and emergent technologies, putting toghether experts from Japan, Argentina, England or Spain, in a cycle of conferences that took place at different sites in La Paz, such as the Colegio de Arquitectos de La Paz building, and the San Francisco Museum. 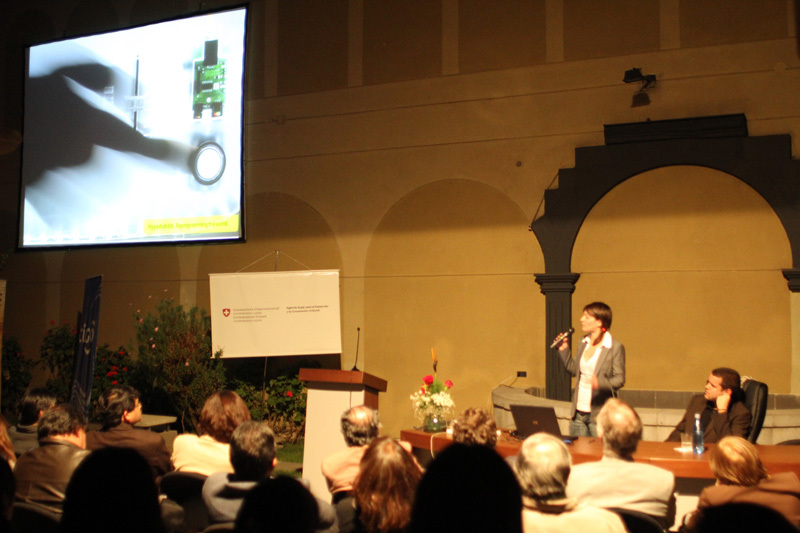 IAAC was invited to give the closing lecture of the one week event. Areti Markopoulou and Tomas Diez, gave a conference about IAAC educational programs and research projects, such as the Master in Advanced Architecture, the Fab Academy, the Solar House Project or the Fabrication Laboratory Exhibition curated by the institute at the Design Hub of Barcelona. Following the events of the biennale, both IAAC staff members were invited by the Ambassador of Spain at La Paz, Mr. Ramon Santos, together with the AECID representatives and the Biennale organizators, shared a conversation about the future challenges of architecture and digital fabrication both in Spain and Latin America.